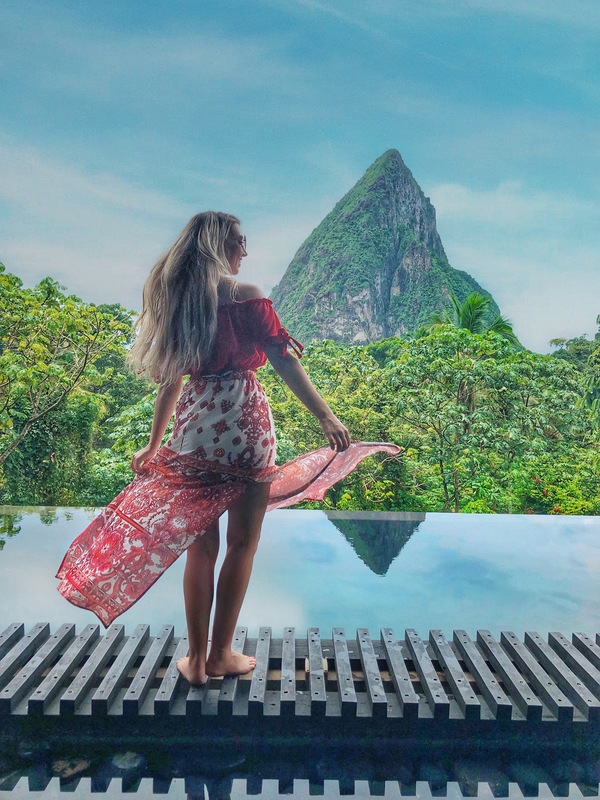 St Lucia is the Caribbean island synonymous with romance, crystal blue water and stunning mountainous backdrops - so when I mentioned to friends and family that I was heading there for a week of sun, sea and sand - there were plenty of excited responses. But it was only upon arrival onto the island, that I truly caught a glimpse of what was in store for us. The warm hospitality of the local people, the relaxed and carefree attitude that extends across the island and the breath-taking views around every corner. It truly was the trip of a lifetime. So in case you're planning your very own island adventure, sit back - relax (rum, optional) and let me talk you through my stand out moments. 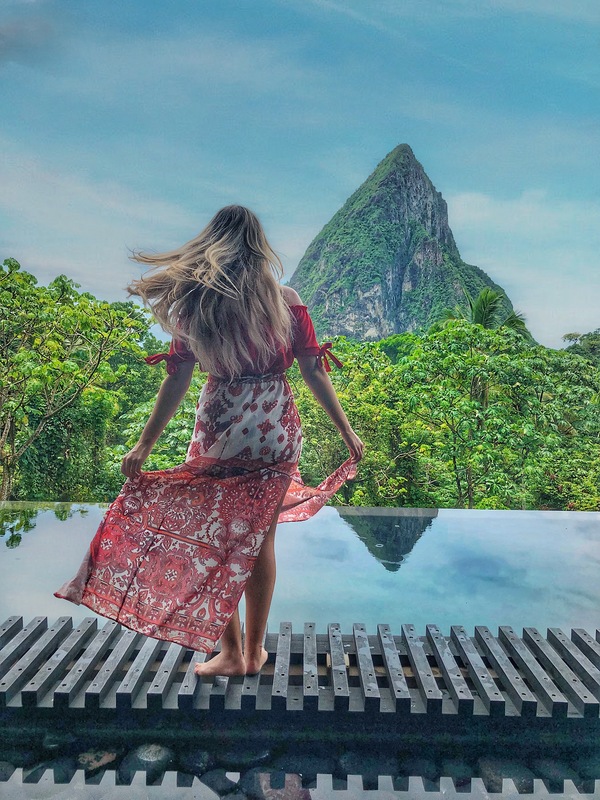 The island of St Lucia is bursting with activity, gorgeous views and incredible food, so it's tricky to know what to see and where to go first. However if you're visiting for a week or less, I'd recommend prioritising these delights first. Whether you have a spot of sunburn, eczema, arthritis or sore joints, a scoopful of mud will soothe and help mend your ailments. I can't speak for any of the above, but I did dollop the warm mud onto my mosquito bites and they healed up in record time and stopped itching, so I was very impressed! 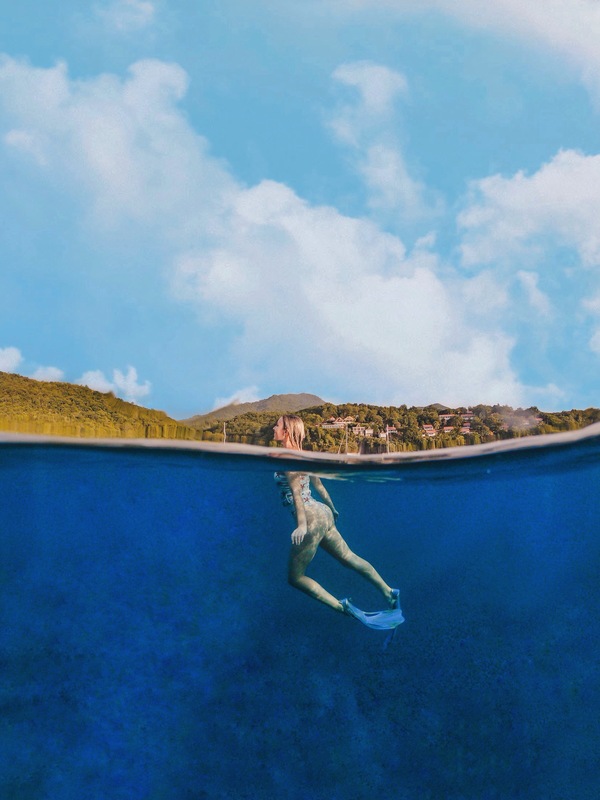 It's recommended that you wear a dark bathing suit for this activity, as otherwise the sulphur can turn light coloured swimsuits a funny colour otherwise! While you're visiting the Sulphur Springs, be sure to stop by for a tour of the collapsed volcanic crater, which is an absolutely fascinating glimpse into the inner workings of the world's bubbling, boiling core. The springs bubble away, as sulphuric scent floats through the air to prove you're still at the heart of an active volcano! Before you leave, be sure to swing by the waterfall - where you can enjoy a natural rainforest bath and wash off all that mud! The glittering water cascades into a little rock pool below, where on a day where the water flow isn't too heavy - you can enjoy a shoulder and back massage courtesy of nature! One of the best ways to see the stunning island and the views of the Pitons, is from the water itself - and so naturally, one of my favourite evenings in St Lucia was spent on a gorgeous boat, courtesy of The Moorings. Bring your favourite Spotify playsuit, plug it into the speakers, grab your friends and family and enjoy possibly the most magical evening, watching the sun set over the glistening water. Jump off and snorkel to your heart's content, before sailing back to your hotel! Further North of the island, in Gros Islet - there is an abundance of activities to enjoy during your stay. On a Friday evening, the Jump Up Street Party is unmissable, where you can experience local music, food, drink and a lively atmosphere. The party doesn't start until around 10pm, but once it does - you won't be able to escape a dance or two! And at the very top of the island, is Pigeon Island National Park, one of the most important monuments in St Lucian history. A living museum within a natural setting, it is carefully protected to preserve its cultural and international military centric history. This 44 acre island was connected up to the main island in 1972 by a large causeway, so you can now walk (or drive) up rather than having to charter a boat. The lookout view at the very top (a ten minute easy climb) gives a stunning panoramic view of St Lucia and is worth a visit for this alone! The Sandals Grande St Lucian where we stayed during our trip to the island is a stunning hotel, with a gorgeous sandy beach, over water bungalows (we did manage to sneak a peek inside one of these - see above for evidence) and an assortment of different restaurants and pools. It was the perfect place to unwind, kick back and relax with a fresh coconut. Or grab a pizza from Dino's and chill out poolside. It's also conveniently located near to Rodney Bay and Pigeon Island National Park, so there's plenty on offer for guests if they do wish to venture outside the resort. Sandals Halcyon is a more intimate resort, with a real 'boutique' feel to it. I may go as far to say that it *might* be my favourite, if purely for the fact they have guacamole, salsa and nachos on tap all day. Accommodation is in the form of cabana style houses, which are arranged in a crescent shape, making the very most of the coastal location. 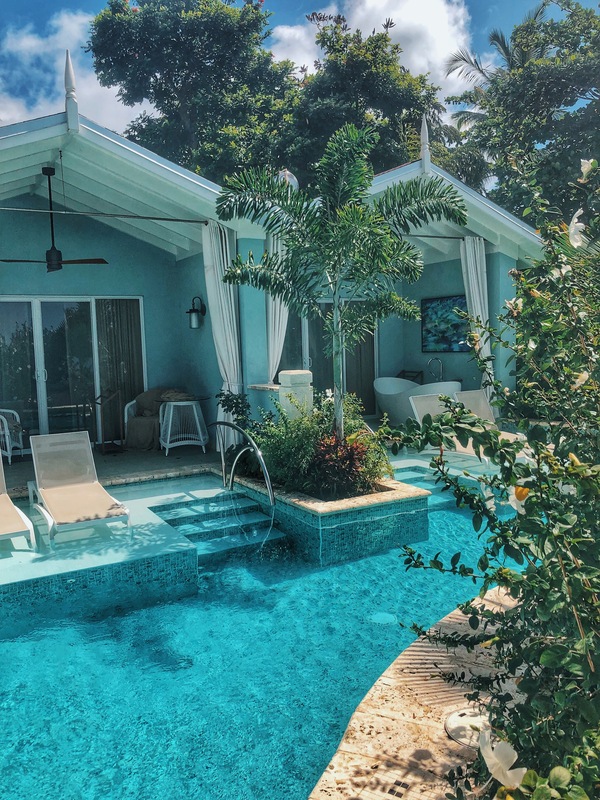 For guests wishing to opt for a cabana with their very own private pool, there are currently an assortment of private pool rooms too - with more being added to the resort frequently, as they are so popular. 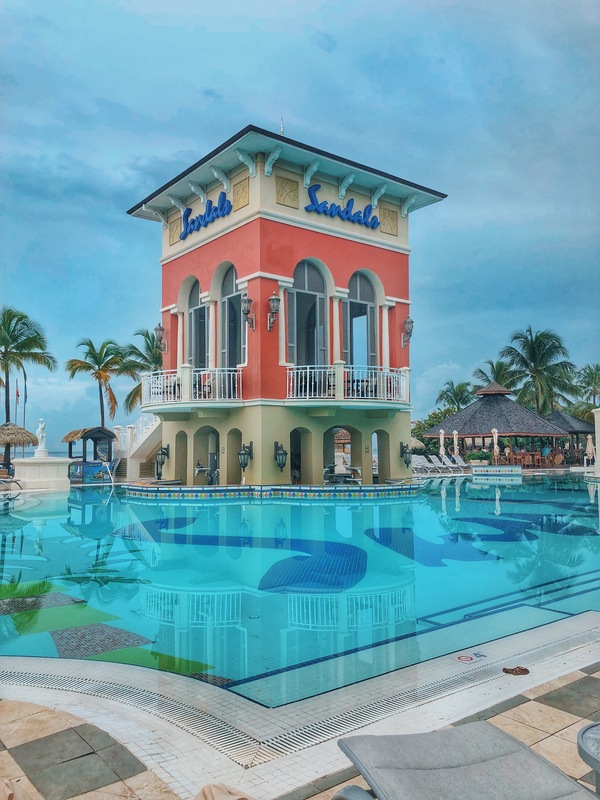 Sandals Regency La Toc is the largest Sandals resort on the island, spaced out over 220 acres of well kept coastal land. 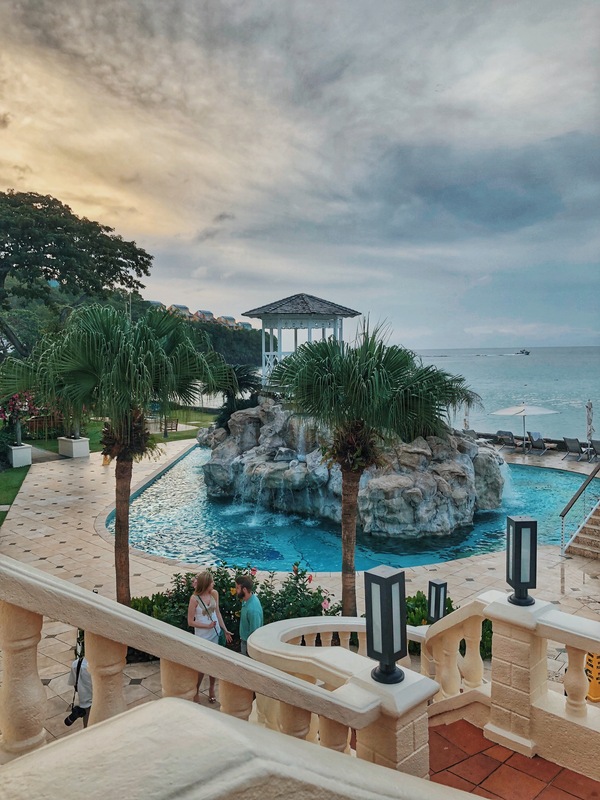 It has an assortment of room offerings, ranging from two-storey private pool suites (complete with your own butler) to the super luxurious Millionaires suites. We dined at this resort twice during our time on the island - and both times, the food was absolutely incredible. I'd highly recommend their Pitons Restaurant, which serves pumpkin soup with cinnamon croutons. It was without a doubt, the best soup I've ever tasted. And I'm now trying to recreate this dish at home, albeit without much luck! It's safe to say we dined like absolute kings and queens during our stay, as St Lucia is a very generous host when it comes to food offerings. One of my favourite and most memorable meals was at Hotel Chocolat in Soufriere, nestled among the trees with a stunning, unspoilt view of the Piton mountains in front of you. The menu, quite aptly, is chocolate themed though with plenty of dairy-free and gluten-free options for those with dietary requirements. I opted for the sea scallops to start, which were subtly marinated in cacao, before being pan seared and served with spinach. Other options include the cacao gazpacho - with finely ground cacao nibs and toasted croutons. Lunch offerings include the Boucan Roti - a twist on the traditional St Lucian dish, with cacao infused chicken and pilau cacao rice. I had the vegetable version and it was oh so delicious. Such a rich, unique flavour - that even my big appetite couldn't get through a whole portion. And then if you weren't quite chocolate-d out by this point, dessert is also a chocoholic's dream with the Rabot Chocolate Lava featuring as the stand out item on the menu - a decadent sponge chocolate dome (which is a pretty good replica of the Piton mountain in front of you) with a molten chocolate interior. Vegan's and dairy-free eaters like me don't have to miss out on dessert either, with a coconut creme brûlée ready and waiting for those with a sweet tooth. Homemade coconut cream is topped with rum caramelised pineapple, cassava flour cacao sticks and mango sorbet. For more information on St Lucia, visit the St Lucia Tourism Authority website here. This blog post was constructed as part of the press trip, however all views, opinions and words are entirely my own.